You know I had to choose between j-Summit New York & the dance event show at Resobox I'd HAD TO CHOOSE THAT SUITS ME! Before I talk about the j-Summit New York event, there's something I would like to talk about that most of you already know. Now let's move on to PIANOS on August 7th 2015. I've seen people snuck into my Facebook Fan page of Ronchan and not Insectduel's Domain and found my post and share it to the person I loved. I do not know who but it's not Hiroshi because I tagged to page in so I thought what my pissed off post is going to bring up attention but instead I upset the person instead. Now, there are 3 errors that went wrong with it. Number one, showing up late is no excuse. Number two, music equipment is common but in these days but it happens. Number three, the fans do not care which means you wasted their time. I wanted to write a blog about it but someone may sneak into this one too so it's got to go away. 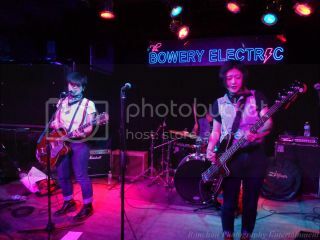 The first thing you notice is that there is a swarm of people at The Bowery Electric waiting for the show to go on but I do not know how it happened. 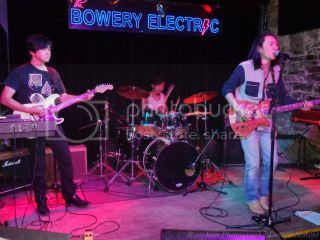 Before the show starts, Rich Kameda emcees and then the Naoki band comes in. Like in May 2015, he actually has 2 more people this time. I have to say it's very impressive. Next up is Yuri Bear. 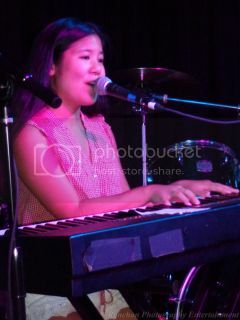 She's a vocal singer and plays a Piano just like Lulla is also a songwriter. Yuri used to have her own band called Sound Bee but there's a similarities between the 2 people. With her continuous success, she's getting better. So you may be wondering! Why is Lily Saito here? I saw it on the event page but I've never even seen her once. Is she originally planned the sing at the event? Also, IRI said that she be in NYC within weeks and it's the 19th of August but I haven't seen arrive just yet. Maybe the schedule is completely changed so these 2 were not scheduled to perform at the event. The next one on the list is Showji & Friends. Each performer gets to sing either solo or as a group. But there's only 1 problem. Why would you say their names at Will Call when you pay at the door? It does not make any sense. Should it call it the Showji group?! With all these people, each of them except Megumi performs regularly at the Tokyo Tapas Cafe on Mondays. The fourth one is quite interesting with the MOST amounts of people and that performer is Shinji Harada. With the capacity being overcrowded, this show is awesome. 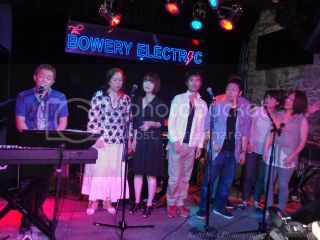 The final part of his show is the Cocolo Japanese Gospel Choir sang together. His performance is awesome. The fifth one is the band I don't support or know very well is The Truthseekers. They were good but ROVER is much better. 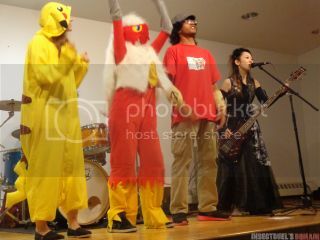 With a Japanese female percussionist, some showed up to support her and I dance around with them. ROVER is so much fun while Michael Potter is around. The Seventh performance is no other than The Akabane Vulgars on Strong Bypass. I met them at Sullivan Hall back in 2013 but the only difference is their hairstyle. They were on the US Tour and I think their performance is at all absolute best. 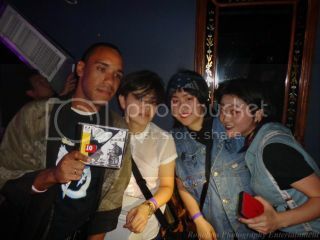 After their show, I brought the CD from the members from left to right are Yumi, Kei, & Miki. The closing band of the night is LUST. The only person in the band I know best is Kota Mori because he is married to Rie Tamuro and it happens very fast. Despite having another Kawaii member on my list, I followed her. Anyway, LUST played the usual but I've been following them for a long time doesn't mean I support the band. No, it's not going to happen. That is the conclusion of j-Summit New York. It's a very fun event but hopefully the next one won't disappoint me. See you next time! 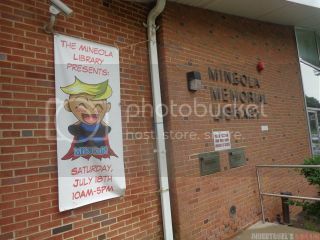 It's been a while writing this blog but it's finally written as late of August 13th 2015 and this time we are talking MinCon also known as Mineola Comic Con which is held at the Mineola Memorial Library. Sadly, MinCon is also a small event like with EmCon and they both held in a public library but with a slight difference. The only thing they truly had with EmCon is the gaming room. Oh wait, don't tell me that MinCon don't have a game room. That story didn't come in until further in the story. Anyway, with my right ear plugged in to death and cannot hear very well with swelling pain becomes very annoying. 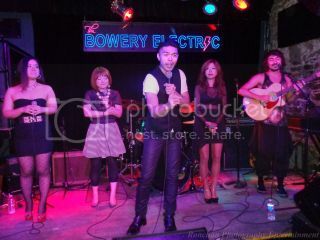 Yes, I suffer through it even before Lulla Miyuki's show at Pianos. That story with Lulla & Friends can NEVER be told or written because it is my private story for now on. Beginning with my discussion with the Cosplay Contest, personally Eternal Con is better even though I never saw it or Big Apple Con which is better because it is for all ages and they have better judges. The Insectduel Team never bothers to capture cosplayers this time. The schedule is awful, maybe for Adults but for teens and kids they are fun to enjoy. 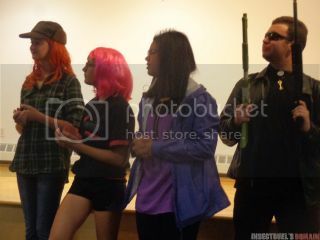 Yes, MinCon is mostly targeted for teenager audience and it's not like any other convention like Eternal Con. Hell, even PwnEm con is better but that comes in handy when A Video Game Con comes in to town. Several times, I never bother to run in to Kazha at the booth which goes by the name of Kazuha Oda. First of all I don't know her, second why would I follow another Japanese female after I have Yuri Bear, Sumie Kaneko, Lulla Miyuki, Hiroko Otani, Atsumi Ishibashi, IRI, Mariko and many others. Now I have Chiela in my list. This year I reduced a few like Saori Kato which is now removed from my list. There is a history lesson, last year Kazha had a j-Summit New York event and a Maid Cafe NY but I didn't come for NEITHER OF THE BAND! With Uzuhi gone, a new Japanese punk band will take its place and it's not The Asterplace. Not running into Kazha is part of my story so let's continue, outside the Library Area you see those trees with the horizontal lining, leaves shaped like a curved diamond that do not have corners like a circle and the tree branches are gray colored with the horizontal lining. Yes, that's right! They are CHERRY BLOSSOM TREES! What is this, Sakura Matsuri? It's sure not Spring! That story I am talking about earlier about MinCon not have a game room, there's something unexpected! Yep, a VIDEO GAME BUS! What the bloody hell? Also, I started to think is Brittany Lauda is becoming more common so who cares. I didn't want to meet up with voice actors for autographs so it's completely random and Monica Rial is one of them from Castlepoint even though I watched Bulma from Dragon Ball Z Kai. Seriously, I like Monica Rial. Here comes the last part of the story, Kazha. 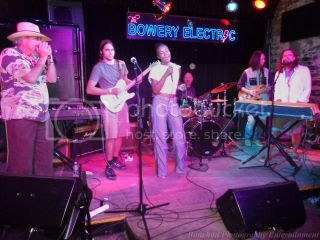 I have to say that her band is really good but too bad they don't last. 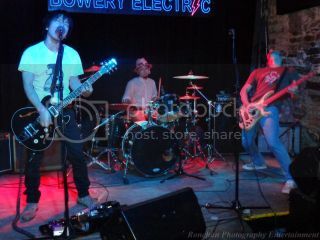 They only played in conventions much like with Uzuhi and j-Summit New York was an exception. 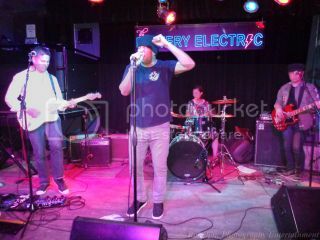 I was on stage with them. After the show ended, I got a little nervous and decided to run up to Kazuha this time. I talked to her but was well relieved. Final conclusion, MinCon is just not good for me but I may return to Mineola when it gets different. End of story.